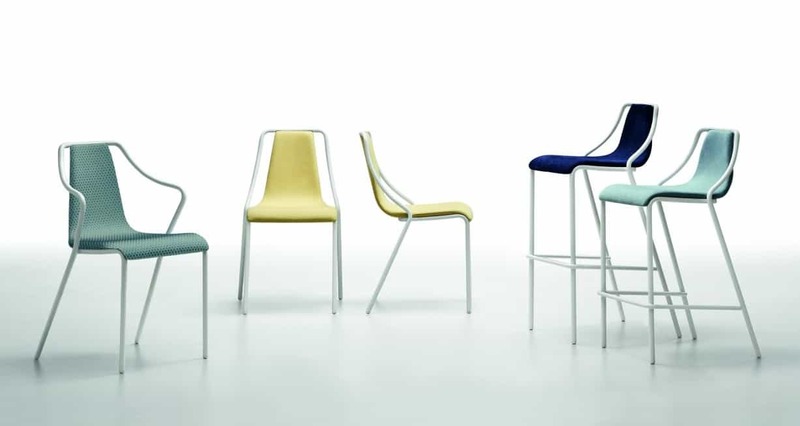 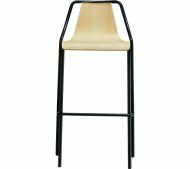 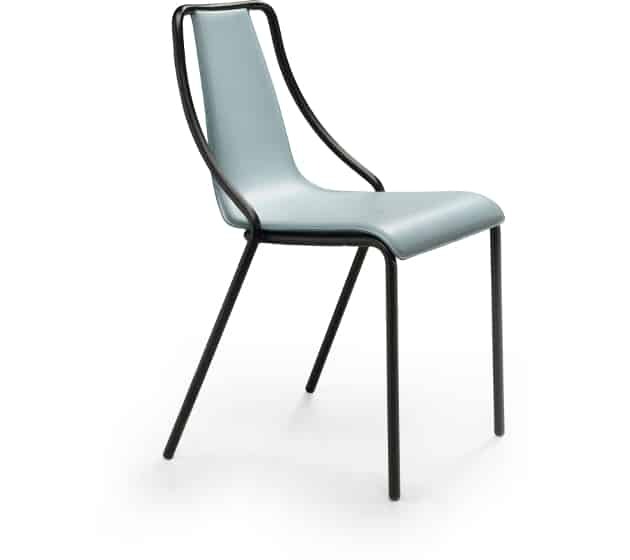 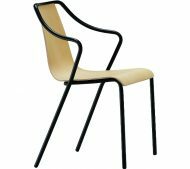 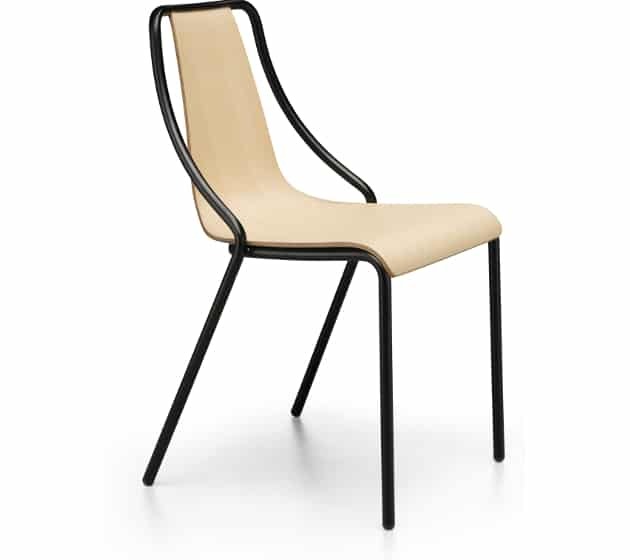 The Ola Side chair is made of a metal frame in white or black lacquered steel. 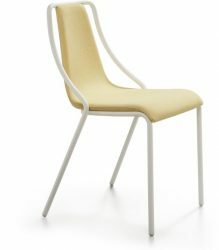 Shell available in veneered wood, Steel or upholstered in Fabric or Leather. 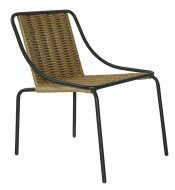 Suitable for Indoor & Outdoors as well as being stackable. 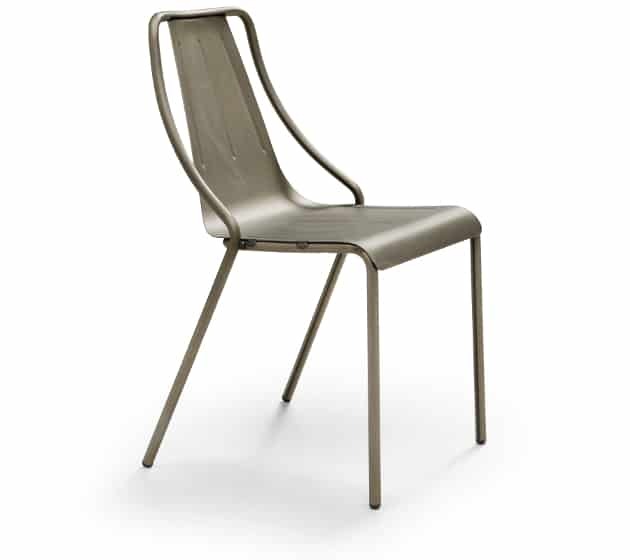 Priced as the steel version.